CHANDIGARH, March 19: Punjab Pradesh Congress Committee president Capt Amarinder Singh today took a dig at Delhi Chief Minister Arvind Kejriwal over his complete u-turn on the issue of SYL and water sharing between different states. Referring to Kejriwal’s statement on Friday saying there should be “no politics on water and every one whether Punjab, Haryana or Delhi should get water, Capt Amarinder reminded him that only a few days ago he (Kejriwal) had said in Punjab that he supported Punjab’s case against SYL and the state could not spare a single drop of water for Haryana. “But the moment Haryana government showed you the mirror, you backed out in your characteristic style and are now saying that there should be no politics over water”, he told Kejriwal, adding, “your stand and statements should at least be consistent enough that they don’t change so fast and so frequently”. 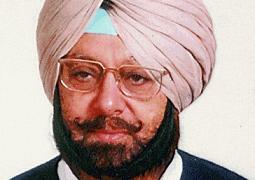 The PCC President asked Kejriwal to stop hiding behind the ambiguities. “Politics is not a game of ambiguities and not at least in Punjab where people will ask you straight questions whether you are with us or against us”, Capt Amarinder told Kejriwal, while asserting, “you can’t continue for long to run with the hare and hunt with the hound and keep on fooling people in your characteristic way”. The PCC President asked the Delhi Chief Minister to also spell out his stand on other issues pending between Punjab and Haryana like the transfer of Chandigarh and Punjabi speaking area to the state(Punjab). “One letter from Haryana irrigation minister made you simply to runaway and give up all the bravado you exhibited in Punjab and we will not be surprised if another similar letter will force you to make another u-turn”.